I often like to say that being culturally responsive is a lot like being in love… because being in love is as much about what you do in the context of a loving relationship as it is about why you do it. In my work as an equity-focused consultant to schools, I spend as much time talking about mindsets that support equitable outcomes as I do planning (and co-planning) the implementation of strategies. Just like being in love, a gesture has meaning in context. I regularly remind educators, it is never the strategy alone that makes a master teacher effective. It is the masterful teacher that makes effective use of the strategy. As I think about some of the major lessons I’ve learned (so far) about the application of the theory of Culturally Responsive Education into real-life classroom practices, I find myself returning to this metaphor of love. I like to refer to the book, The Five Love Languages by Gary Chapman to present the concept of intent in the practice of teaching. 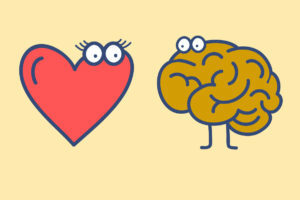 Chapman’s thesis is that we are all wired to receive love in some unique combination of ways – and to be a good lover requires that we know well (and be willing to speak) our loved one’s preferred love language. This is yet another way of saying that context matters. If a gesture big or small, is not delivered or received with the right intent, the intended message will be conflated… and that leads me to my first lesson learned…. 1. The work of Culturally Responsive Education (CRE) is about planning learning experiences that reach students’ heads and hearts! Too often, when we think of the teachers and classrooms that seem to give students the most meaningful opportunities to learn, we focus primarily on what we observe during instructional time. The successful application of the theory of Cultural Responsiveness is not, however, merely a function of skillful classroom presence and dynamic implementation of strategies (at least not by itself.) The most important work of CRE happens in planning spaces. In my experience, the teachers who are best able to articulate their planning with specificity are more likely to be responsive to the fluid context of the classroom. The most significant challenge of planning is to design learning experiences that clearly anticipate the likelihood of responsive moments in instruction. I define responsive moments as those occasions in which students’ identities as learners are fully engaged, and they are fully invested, behaviorally, emotionally, and cognitively. I’ve found the most success in engineering highly engaging learning experiences when planning with two key questions in mind: What do I want students to understand? and What do I want students to feel? Both questions have broad support in research. The questions about what we want students to understand are best understood in terms of McTighe and Wiggins and Understanding by Design. The questions about what we want students to feel are based in the field of Cognitive Neuroscience. The research in Affective Neuroscience in particular gives us greater insight into how learning occurs and memories are formed. In short, the brain puts every new learning into some kind of cognitive/neural context. Our memories are all connected, and our brains use emotion to anchor our knowledge and understandings. The most powerful learning experiences are those that are framed in a rich emotional context. Learning experiences that are designed to reach the head and heart have far greater potential for highly engaged, high-rigor moments for learners. Being able to regularly create these experiences relies on deliberate attention given to the context for learning and also the needs and assets of learners that include both the careful consideration of what we want students to understand and what we want students to feel. 2. Leverage teaching strategies that engineer productive noise. Culturally Responsive classrooms are often electric spaces filled with the sounds of productive noise. The pedagogies most likely to evoke the affective and cognitive engagement of students are those which incorporate students’ voices in authentic and meaningful interactions with content. Teachers with an interest in growing their capacities for Cultural Responsiveness are wise to develop some level of mastery with strategies like the Socratic Seminar, Question Formulation Technique, and Philosophical Chairs. I’ve learned that I’m likely not facilitating a responsive learning experience if I’m seeking the silence of students for long stretches of time. Rather, classrooms that students think of as engaging are those which allow them to talk and think – and effective teaching strategies build in the methods and tools for students to capture their thinking for further reflection. The students most vulnerable to under performance are often those for whom school is experienced as a place where they feel controlled and encouraged to be compliant. While norms are important to maintain a safe learning environment, classroom rules that don’t directly support students’ engagement are more likely tools of control; and rich learning is always a function of structured independence. It’s more likely that authentic engagement occurs when students are able to make meaningful connections between their own experiences and the content-related, conceptual understandings that teachers would like to develop. Cultural Responsiveness requires that we remind ourselves that our students do not come to us as empty-headed vessels. In order to tap into our students’ deep reservoirs of experiences and understandings, we are wise to employ instructional strategies that get them talking. 3. Small, great things matter enormously! In my view, the single most salient goal of Culturally Responsive Education is to draw students into a greater sense of their academic selves in ways that simultaneously allow for the healthy development of their social and cultural identities. Often when I see specific students struggling in classrooms, with careful observation and reflection, I begin to notice that the root of the problem is that the student isn’t deeply invested in their identity as a learner – at least not in the context of school. 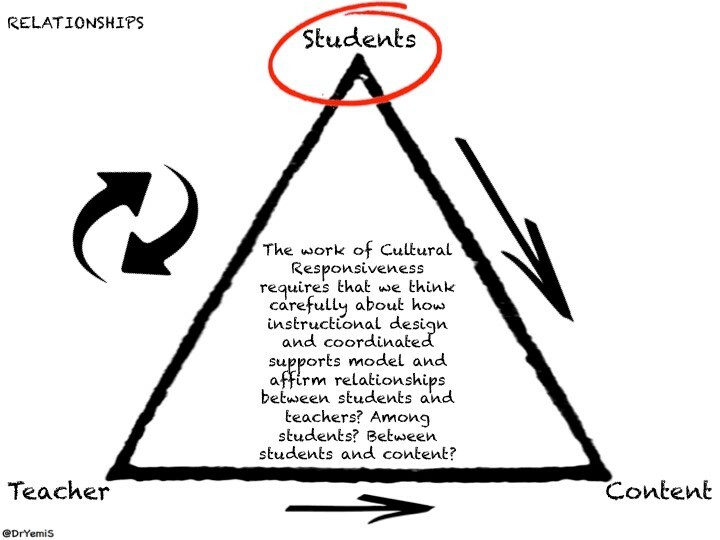 The Culturally Responsive mindset seeks to provide opportunities for students to bridge their social/cultural selves with the identities that support sustained investment in school experiences. As such, it is essential that teachers develop skill-sets for engineering experiences that affirm for students their authentic belonging in school communities. In order to support the academic identities of students, we have to create contexts and experiences which confirm that the academic space is safe and worthy of students’ investments. When we think about our own identities, there are specific experiences that define for us what it means to belong authentically to communities along with others who share similar identities, as well. I’ve learned that Cultural Responsiveness entails the effort of pulling students into academic communities through what I think of as Small, Great things. Cultural Responsiveness requires a capacity for noticing the opportunities for Small, Great things. 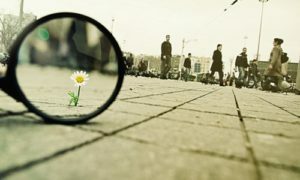 In those moments, often escaping the perception of the inattentive eye, powerful connections are possible. Small, great things are essential elements of community. A Small, Great thing is any moment in which a student feels genuinely seen or heard as a contributor to the learning community. When teachers identify and execute authentic opportunities for Small, Great things, they confirm for students that they authentically belong to the learning community. Small, Great things are both the energy and texts of relationships. They support not only the relationships between teachers and students but also amongst students. Most importantly, Small, Great things support the relationship of students with academic content and the idea of school. Further, our most vulnerable students are more inclined to invest themselves in developing their identities as learners when they have trustworthy adults who model for them what productive relationships with academic content and the idea of school looks like. Most importantly, I am reminded time and again that the work of Culturally Responsive Education requires that educators commit to showing up with their best selves every single day. The work of Cultural Responsiveness necessitates that we are ever mindful of our purpose, the complexity of our work, and the hugely significant implications for our students. Though there are no CRE checklists, not much is possible without that baseline commitment. It’s a journey, and I’m anxious to see what learning awaits me as I continue to develop my own sense of what exactly CRE means and requires of us. Good luck to you on your journey, as well. 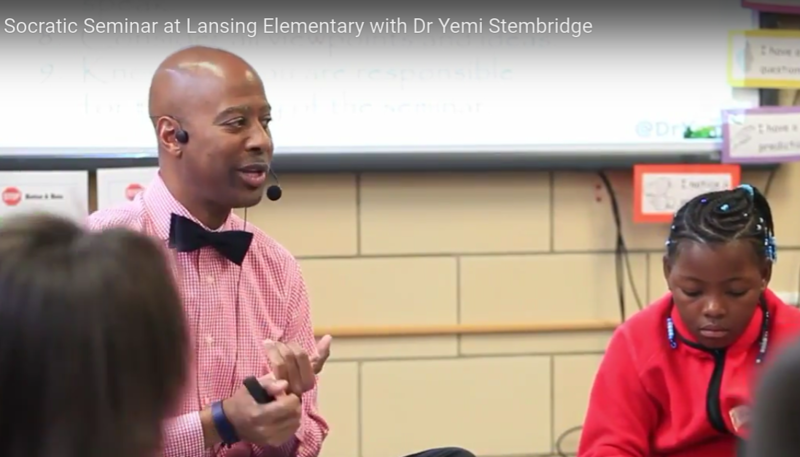 Dr. Adeyemi Stembridge provides technical assistance for school improvement with a specific focus on equity. 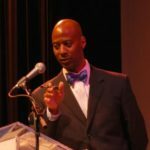 He works with districts around the country to identify root causes of achievement gaps and formulate pedagogy- and policy-based efforts to redress the under performance of vulnerable student populations. Follow him on Twitter @DrYemiS. Glad you liked it! I look forward to hearing your thoughts on future posts.